One of the most important features in your home will probably be the kitchen worktops and the backsplashes that go with them. There are many options when it comes to choosing these but for a choice you should definitely consider marble. Marble is a very durable stone and it also looks very stylish and beautiful. There can be problems if it sustains consistent water damage and, for example, if acid is spilled on it. Then it can look lifeless and dull but there are preventative measures that you can take to avoid this happening. There are even some types of marble, such as those that are magnesium-based, that are not as susceptible to this type of damage. As long as you take care and have a regular cleaning and maintenance routine, your marble fittings should have a very long lifespan. 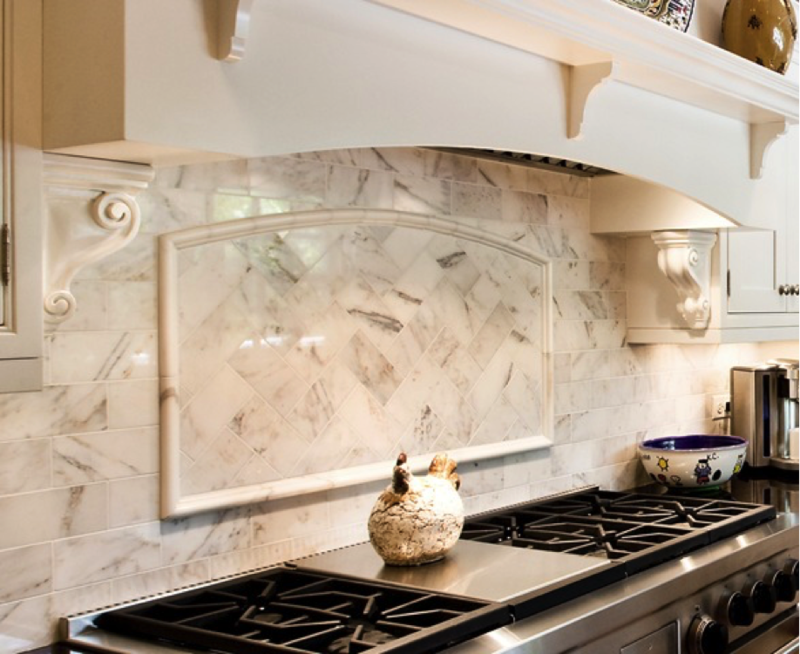 As far as the beauty and style is concerned, there is nothing comparable to marble Kitchen Backsplashes. Let me tell you why marble should be your first choice. Marble comes in a variety of colors such as white, gray, green, blue, red and black as well as a few others. It is a very beautiful looking stone and has much depth to it, more so than other stones such as granite, because it is a much softer stone. It is commonly used inside and outside the home for flooring, facings, and decorative features. It is especially used in kitchens and bathrooms. 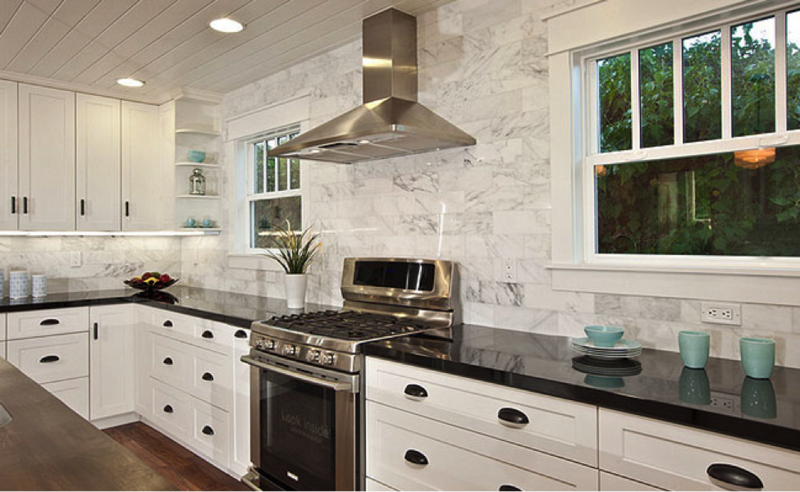 A common design found in many homes using marble, is to match the backsplash in the kitchen with marble floor tiles. This looks particularly stylish and elegant and although marble is more expensive than other choices of stone, because of its lifespan and durability, it can actually be more cost-effective. 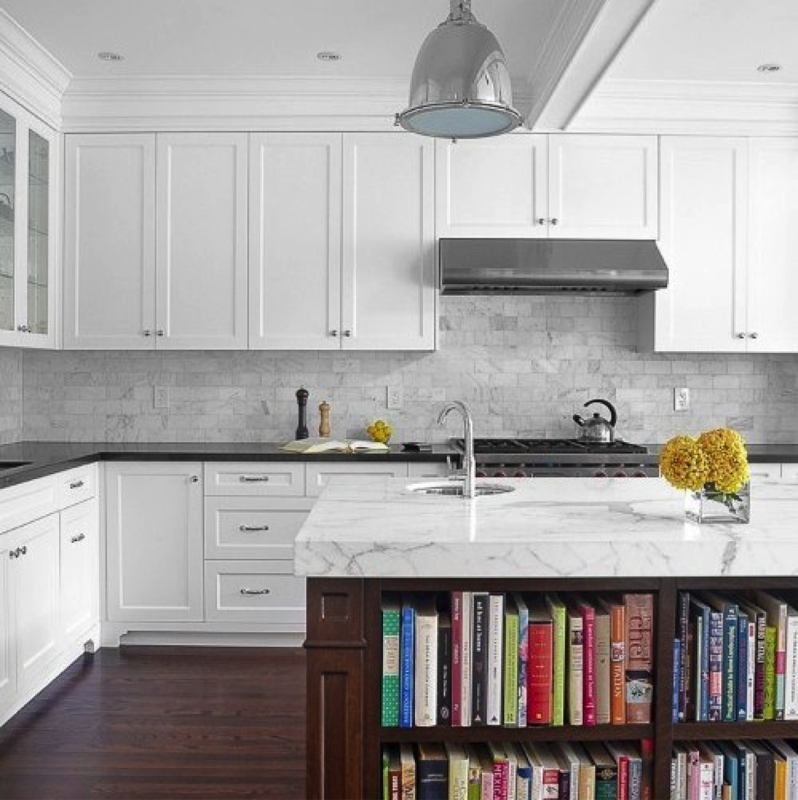 In the kitchen, it is possible that the marble would be more exposed to damage than other places in the house. For example, although marble is very resistant to fire, constant exposure to high temperatures can cause it to be discolored. It is possible, however, to restore the original color using one of the specialist cleaning products that are available nowadays. In its original state, marble is white. Sometimes it is naturally colored with different colors because of impurities in the stone but it is also possible for manufacturers of marble products to add colors of your choice. This can give a very beautiful colored swirling effect or the actual decorative design that you wish for can be introduced into the stone. It can then be left with a matte finish or highly polished so that it has an almost glass looking effect. 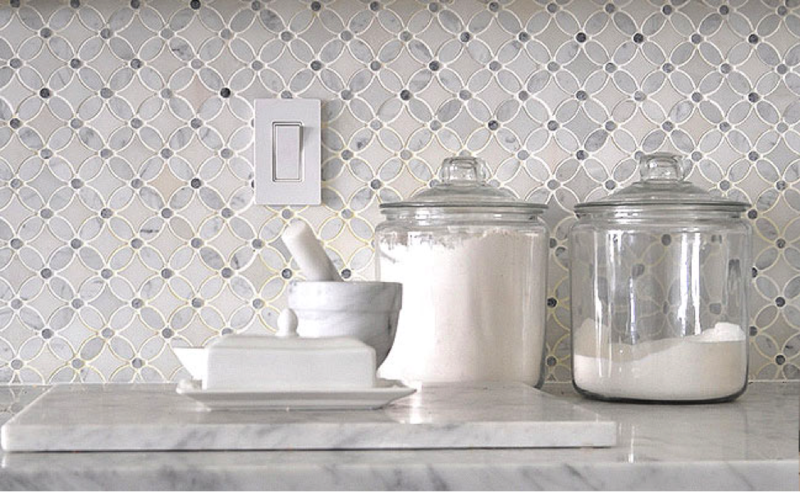 This is very effective for kitchen backsplashes combined with marble floor tiles of contrasting or even the same colors. A popular finish for floors is tumbled marble. This is when marble is mixed with other stones and rocks in a drum and literally ‘tumbled’. This gives it an aged, rustic look. You can also mix marble dust with concrete or synthetic resins to make cultured marble which is good for backsplashes and worktops. It is much easier to clean and maintain than original marble. So these are two good choices if you want to combine your design for backsplashes, work tops and floors and will save you time and effort with maintenance while still having the look of marble. There is a common misconception that marble is expensive as compared to its contemporary products but keep in mind that quality does not come cheap. On the other part, if we consider the durability, utility, and most importantly the beauty, marble is unique. Due to its long lasting quality, marble proves really cost-effective as compared to other similar products. How to Care Properly for Imported Marble Countertops?